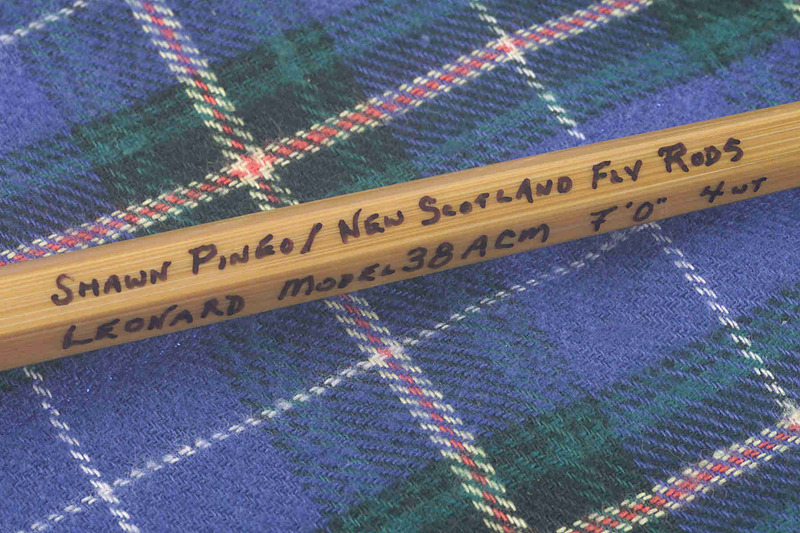 mY NAME IS SHAWN PINEO, I AM THE OWNER AND ROD CRAFTSMAN HERE AT NEW SCOTLAND FLY RODS. MY HOME IS HERE IN NOVA SCOTIA, CANADA. NOVA SCOTIA IS LATIN FOR "NEW SCOTLAND", THUS MY BUSINESS NAME. AS A MATTER OF FACT THE NOVA SCOTIAN THEME CONTINUES THROUGH OUT MY ENTIRE BUSINESS, FROM MY FLANNEL NOVA SCOTIA TARTAN ROD BAGS TO MY LOGO, THE OSPREY, AN AVID FISHERMAN LIKE MYSELF AND ALSO NOVA SCOTIA'S PROVINCIAL BIRD. I HOPE YOU ENJOY YOUR VISIT TO MY WEB PAGE, PLEASE FEEL FREE TO CONTACT ME WITH ANY QUESTIONS OR COMMENTS YOU MIGHT HAVE ABOUT MY RODS, COMPONENTS, OR JUST TO CHAT BAMBOO!